All Forums >> [Artix Entertainment Games] >> [DragonFable] >> [DF Encyclopedia] >> Locations / Quests / Events / Shops >> War At See! 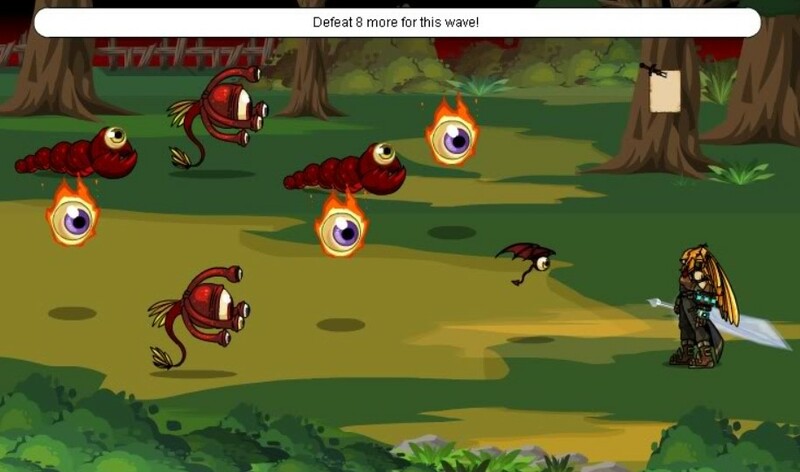 Other name: Invasion of the Eyes! 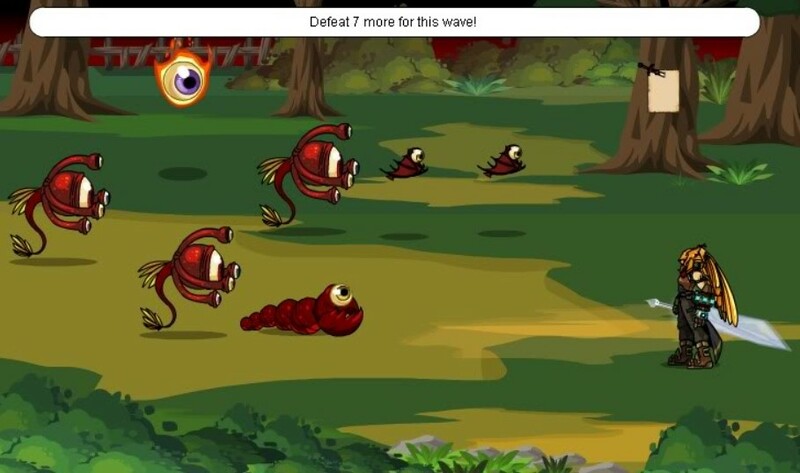 Location: Falconreach -> War At See!, Time Travel Fairies Time Tours -> War at See -> To War! 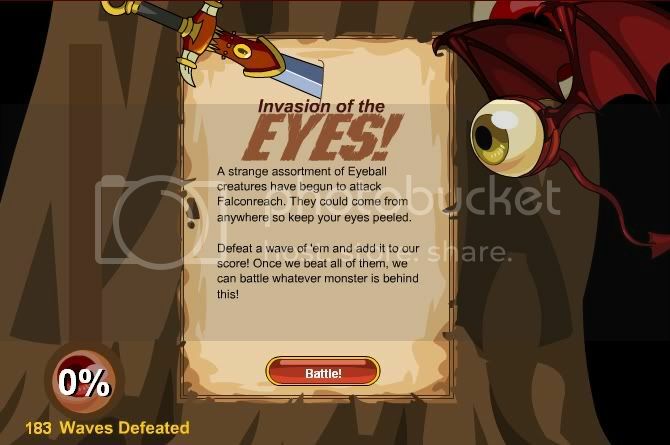 Objective: Flying eyeballs are attacking Falconreach! They could come from anywhere so keep your eyes peeled. 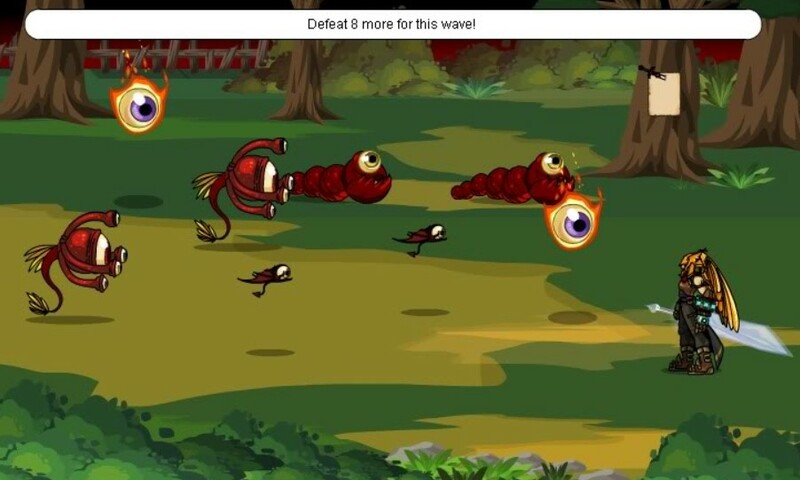 Objective completed: You have defeated a wave of these eye fiends! Keep it up and lets drive them out of town. 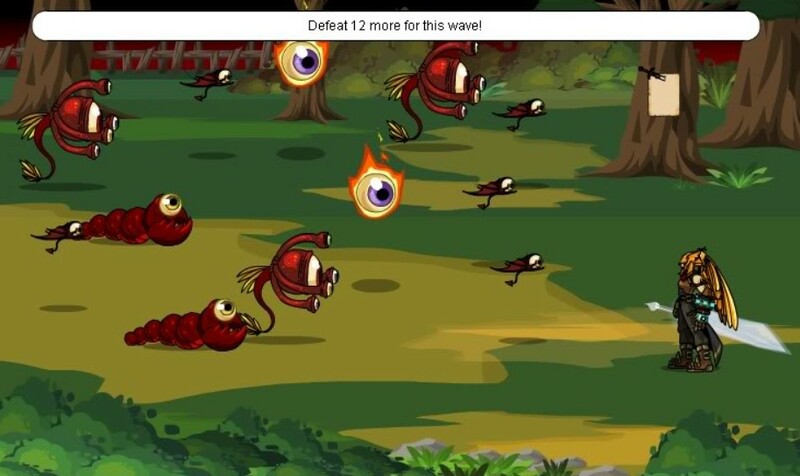 Joke Wave: (1) Flying Eyeball "I SEE YOU." Another version of this quest is Relive the War At See! which was put in game before War Memorial existed. -- Mr. Irish for monster links. -- evil thinker for reward information. -- weapon of choice for reward information. -- SalvationXI for reward information. -- Stephen Nix for updated information.